I finally made the leap from idea to product. 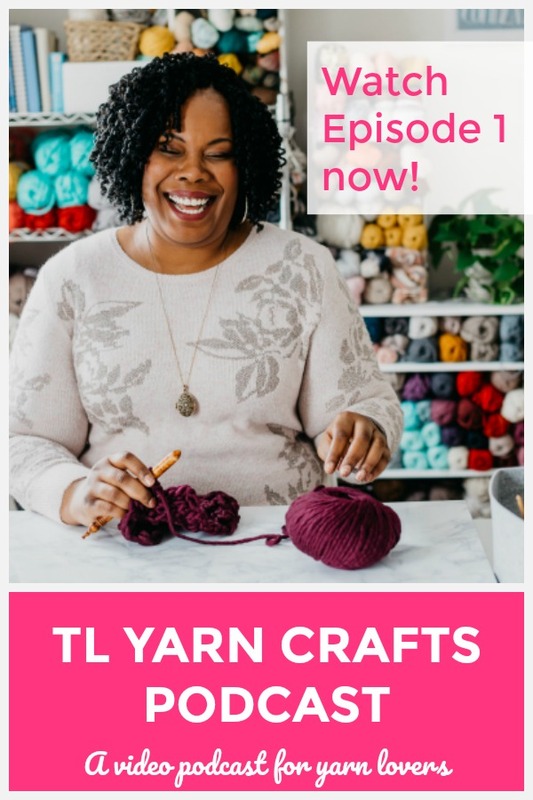 My friends, I’m excited to introduce the brand spankin’ new TL Yarn Crafts Podcast, a Video Podcast for Yarn Lovers! I’d be lying if I said I always wanted to do a podcast. Like everyone else, I have a to-do list the length of my arm and even more projects on the way. 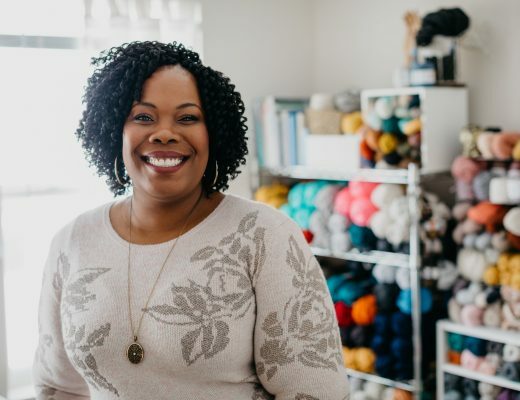 But I just couldn’t escape the opportunity to connect with other yarn lovers through video. And it helps that there’s not much structure or goals. It’s like chatting with my best girlfriends! CLICK TO PIN THE FIRST EPISODE! On this episode, I’m introducing my podcast format, chatting about some of my WIPs and favorite things, and there’s even a giveaway (watch all the way through for details). Enjoy! -GIVEAWAY: Open to US Residents only. Entry details explained in video. Winner will be selected by Thursday, February 14th and contacted via YouTube. Winner’s name will be announced in the next Episode of the TL Yarn Crafts Podcast (TBA). Entries on this blog post WILL NOT be counted. I loved your podcast and especially your clip on diversity! I know I want to have those deep connecting, curious conversations with people. Being present and authentic is one of my goals for 2019 and your podcast helps me with words to have those conversations! Three things I am loving right now are that is is snowing here in Maple Valley Washington (state) and it looks like a winter wonderland! I am loving having my family and furry family all around me. AND I am loving learning about crocheting and have picked up some tunisian crocheting recently and having fun with it. LOVED your words of encouragement! You Are Enough too! Thanks so much for checking out the podcast, Brenda! It’ll take all of us being open and honest with each other to produce change. I hope you have some safe spaces around you to have these difficult but important conversations. Hi Toni. How awesome!!! I watch all your lives (some times on the replay) and I really can’t get enough! Your patterns are amazing, I just need more arms to make them all. I listen from the weather confused state of Georgia. 1) The temp blanket, i.e. yours, the concept, the beautiful pics.. all of it! – I have my yarn, am recording the temps but yet to start. 3) OML 2019 meetup that I will not be able to attend, but I know I will be glued to Instagram that day because of all the wonderfulness that will be shared. Thank you for being so amazing and sharing everything that you do. You rock!! You are adorable!! !…full of information and so inspiring! Hey Toni, congrats on your podcast! I LOVE the mrs. moon plump DK! I’ve made several pairs of crochet fingerless gloves with it. The stitch definition is so beautiful. FYI I have noticed, the gloves do start fuzzing a good deal after they are worn a few times. I kind of like that fuzzy look it gets, so it doesn’t bother me. Maybe they could be felted later too. Thanks for learning me about ken yarn and hue loco! Toni!!! Your first podcast!! I love it! Any chance to see your smiling face! 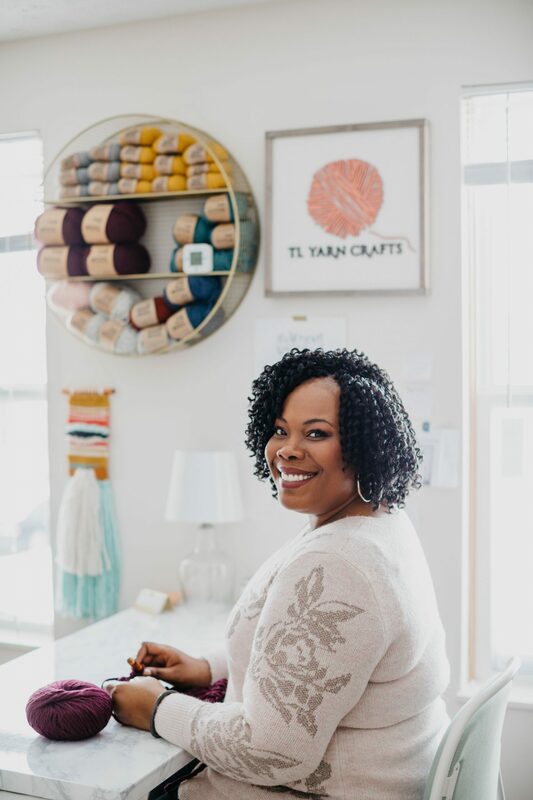 Right now I’m lovin on my Weekender Sweater that I’m soooo close to finishing, picking out goodies for my fibershare partner, and packing up orders for everyone taking advantage of the FibreShare discount code for my shop! 🙌🏻 I’m so looking to following along with your podcast!! I know what you are saying. I WAS raised in Louisiana. I truly enjoyed your first podcast! Thank you for the ‘fun’ segments as well the heartfelt diversity segment. 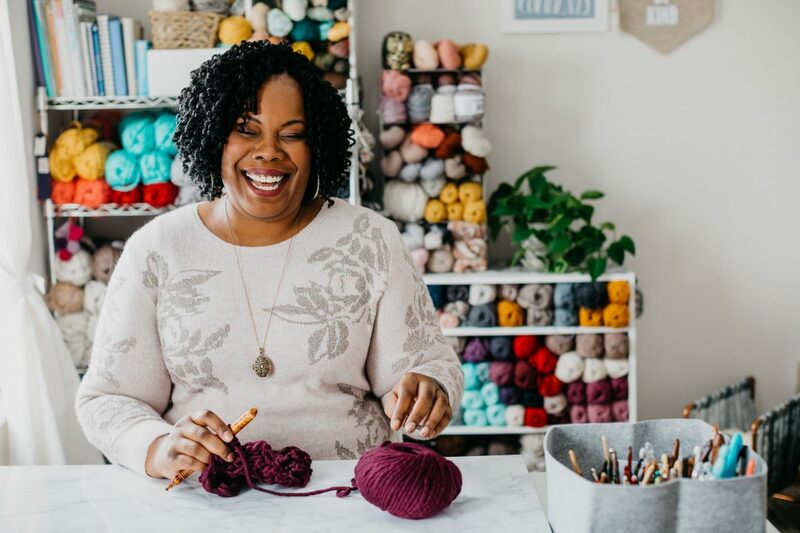 I’m also in Ohio (Youngstown area) and have been crocheting and knitting on and off for over 50 years. Some things that are making me happy right now are (1) my 4 grandchildren, 6 year old twin girls and their new 5 month old brother who all live in east central Ohio, and their 2 year old cousin who lives on a little farm in central Florida with her horses, pigs and chickens. (2) I’m a costume designer by trade and this is absolutely the most fun I can have while being paid. (3) I’m currently trying to downsize our ‘stuff’ as we ready for retirement, and while I don’t really enjoy doing it, it’s making me very happy to see some progress. Your words of encouragement are much appreciated. As probably one of your oldest followers, I can say that, as women, ‘being enough’ was and still is, a trait that is pretty hard for us to see in ourselves. Keep spreading that positivity!! I can’t wait to see what you create next and I’m looking forward to your next podcast. 1- THIS PODCAST, can’t wait to continue to see more of your WIPs, your words of encouragement, and more of that cute face and positivity out into the world! 2- Tunisian Crochet! My BFF learned from your YouTube video and baby blanket pattern and passed her new found love along to me! When is your next podcast? 😍 love listening to you while I crochet or knit! Keep being a Boss Baddie!! !